Explanation: To celebrate 25 years (1990-2015) of exploring the Universe from low Earth orbit, the Hubble Space Telescope's cameras were used to revisit its most iconic image. 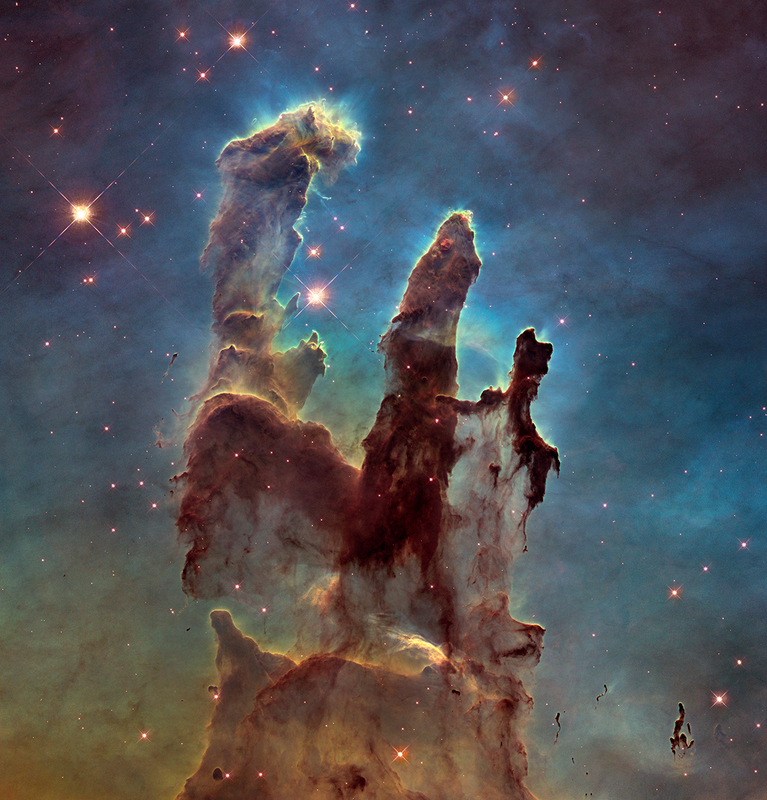 The result is this sharper, wider view of the region dubbed the Pillars of Creation, first imaged by Hubble in 1995. Stars are forming deep inside the towering structures. The light-years long columns of cold gas and dust are some 6,500 light-years distant in M16, the Eagle Nebula, toward the constellation Serpens. 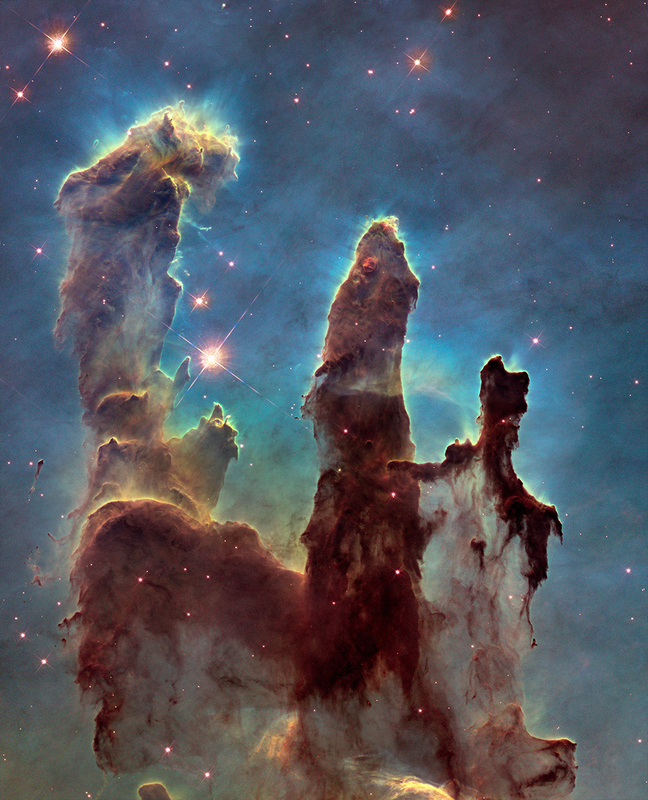 Sculpted and eroded by the energetic ultraviolet light and powerful winds from M16's cluster of young, massive stars, the cosmic pillars themselves are destined for destruction. But the turbulent environment of star formation within M16, whose spectacular details are captured in this Hubble visible-light snapshot, is likely similar to the environment that formed our own Sun.